Articolo in lingua originale - Solo versione in Giapponese. 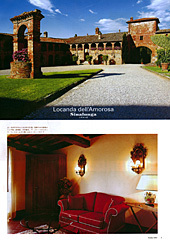 Best available rate guaranteed This is the official Locanda dell'Amorosa website, where you'll find the best rates - always! Exclusive offers This site is the only place where you'll find our special offers, bookable online.